We’ve been struck by two recent exhibitions at Tate Modern this month – Agnes Martin and Sonia Delaunay. While their work is clearly aesthetically different, they are united in their focus on colour, tone and pattern. At Devas Designs we love visiting exhibitions and seeing works of art which can provide us with inspiration for interior deigns. If you’re really struck by a work of art because of its colours scheme, tone and hue, this can form that starting point for dictating your interior. 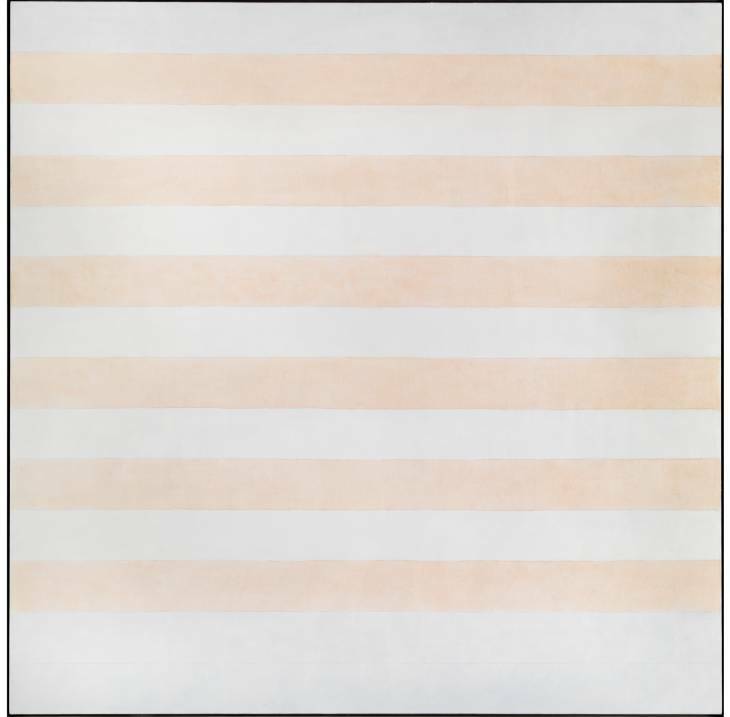 Agnes Martin’s work sits within a tuning point between Abstract Expressionism and Minimalism. While living in Lower Manhattan she met the bright young artists of the 60s like Jasper Johns, Ellsworth Kelly and Robert Rauschenberg – they inspired her to start incorporating found objects to create assemblages. She eventually turned to a more minimal approach, often using grid-like structures. We were struck by her subtly striped paintings, from a distance some appear almost monochrome but when viewed closer become alternating stripes of pastel tones. These muted tones are also very on trend – Tate has even created their own Pinterest board with interiors that follow an Agnes Martin inspired colour schemes! 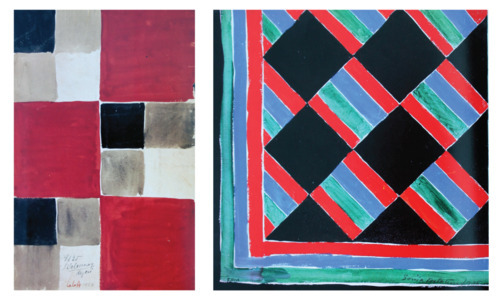 Sonia Delaunay is well known for her exploration of dynamic contrasting colours and compositions, pioneering the movement ‘Simultaneism’ with her husband Robert Delaunay. Delaunay was a key figure in the avant-garde movement in Paris and as well as fine art, she produced dresses, scarves, umbrellas, hats, shoes and swimming costumes. She also created some iconic and stunning carpet designs, seen below. Her focus on colour and harmony makes her a perfect artist for inspiration, whether you’re looking for a new bold colour scheme or to add splashes of colour into your interior, her confident colours would certainly stand out. Her and Robert were influence by the strong colours of Fauvist artists and they tried to use these colours in their own work, with a greater focus on rhythm. Take a look at Tate’s Pinterest to see more Delaunay inspired fashion, patterns and colour schemes. Click here to have a look.